Maulana Muhammad Ali Johar belonged to a very respectable Muslim family of Rampur in Bharat. He received his early education at Aligarh. From there he went to Britain for higher education. He got a degree in History and on return he served in Rampur and Baroda. His independent temperament could not reconcile with the atmosphere and soon he had to resign. Soon after that he started his political career. He migrated to Calcutta and brought out an English newspaper named ‘Comrade‘. This paper gained popularity on account of high standard of journalism, fine sense of humor and moderate policy. Many persons of the ruling class read it eagerly. He also brought out and Urdu newspaper “Hamdard” from Delhi. 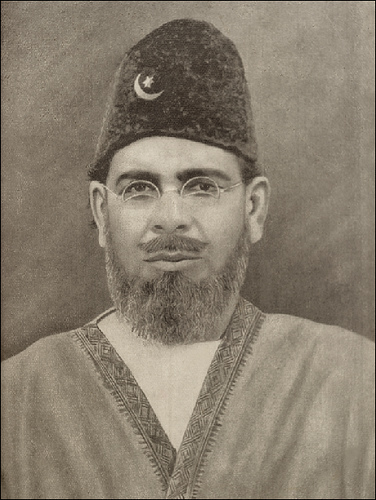 Through the columns of these newspapers, Maulana Muhammad Ali Johar made a strong criticism of the hostile attitude of the British Government towards Muslims. 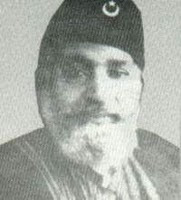 Maulana Muhammad Ali Johar was a zealous guardian of Muslim interests. During the Balkan War he bitterly criticized the British Government. He was imprisoned along with other leaders during the First World War. 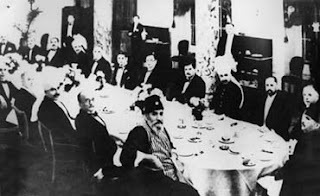 After his release he joined the Khilafat Movement. He was one of its founders. The Muslims of South Asia took an active part in that movement. Many of them were arrested and sent to jail. Maulana Muhammad Ali Johar and his brother Shaukat Ali, were once again arrested. They were tried in the Khaliqdina Hall at Karachi and were sent to jail. He took active part in the struggle for freedom. He attended the Second Round Table Conference at London. While addressing the conference he said, “I do not want to return as a slave, either give us independence, or some space for my grave in your country.” After a few days he breathed his last on 4th January 1932. He was buried in holy mosque of Jerusalem in Palestine. Maulana Muhammad Ali Johar was a brave freedom fighter. He had an irrepressible love for Islam. He was a man of courage and strong determination. He proved his courage in criticising the British Government when other leaders dreaded to speak against the government.”He was man of letters.” Had a great command over both English and Urdu He was a gifted poet as well.